Aspire Athos tank is an elegant sub-ohm atomizer with max 4ml e-liquid capacity and 25mm diameter. It adopts easy top refill design by removing the top cap, smooth adjustable bottom airflow and metal protective sleeve. With innovative single-coil head A1, Tri-coil head A3 and Penta-coil head A5 coils, you will enjoy an ultimate experience with the Aspire Athos. 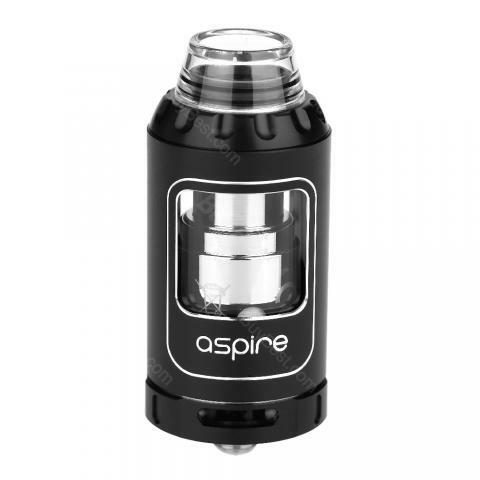 Aspire Athos is an exquisite sub-ohm tank atomizer in 25mm diameter. It has a 4ml Pyrex glass tube that is protected by a hollowed-out metal sleeve. The Athos tank applies easy top filling system, adjustable bottom airflow slots and nice drip tips. Designed for flavor and cloud, the innovative penta-coil A5 head and tri-coil A3 head will never let you down. The detachable structure makes the tank cleaning so easy. The Aspire Athos subohm tank is a great choice for both cloud and flavor chasers. Aspire Athos Subohm Atomizer Tank has a great production! Great! Aspire ist sher schön! Der Kontakt zum Verkäufer gestaltete sich bei Rückfragen als äußert zügig, hilfsbereit und kulant!